We’ve entered 2014 with our industry on the cusp of a dramatic expansion. And once again, our company is poised to lead. Over the past few years, AT&T has been a major driver of the global, mobile Internet revolution. We have invested and executed aggressively, and today our network is best in class, reaches hundreds of millions of people and comes out on top in all sorts of third-party tests for speed and reliability. We also moved early to open our network to outside innovators and broke new ground with our AT&T Foundry innovation centers, allowing us to deliver more apps and solutions to our customers faster. All of this has helped our company create new growth platforms. And more broadly, it has helped ignite a global wave of innovation that’s transforming how we manage our lives, connect with others and operate our businesses. It’s hard to overstate the impact of this revolution, or our company’s role in it. Simply put, we have created the framework for the fastest, largest technology transformation in our lifetime. But the fact is, as impressive as the past several years have been, the opportunities ahead are many times greater. This next wave is being powered by a combination of ultra-fast mobile communications with access to content located in the cloud. This means that just about everything in our world will be connected, seamless and smart. Our content will follow us no matter what device we’re using. Our homes and cars will be extensions of our smartphones and tablets. The highest levels of education will be accessible to millions more people wherever they are located, and advancements in healthcare will occur in ways we haven’t yet imagined. The impact of such a connected world, on our economy and our quality of life, will be immense. Technologists and economists are just starting to get a handle on all of the implications. But it’s clear to me that the mobile, digital economy is already at the leading edge of our overall economic growth. It’s speeding commerce and creating new business models. And it’s driving a social and economic transformation that ranks with the building of the railroads and superhighways in centuries past. So, I believe the coming years will be the most dynamic our industry has ever seen. The pace of innovation will accelerate. Customer expectations for communications that are mobile, ultra-fast and effortless will continue to soar. Network usage will grow as well, driven by ever richer data applications and a dramatic increase in video of all kinds. And for providers, all of these will make consistent investment and relentless innovation more important than ever, as new technology replaces the old much faster. We’ve been driving toward this future for some time. And thanks to the hard work of AT&T employees, I’m confident that our company is ready to thrive in this new world, as we did in the first wave of the mobile revolution. The question is: Given all of these opportunities, what are the critical components of leadership — where do we need to excel — to grow and create value for you, our shareowners? The first key is a premier network experience. I told you a year ago that the number one story for our company in 2013 would be our network. And that turned out to be the case; we had a breakout year — reaching industry-leading levels of network quality. It started with a major multi-year initiative, called Project VIP, to deploy high-speed connectivity on a massive scale. When we launched this effort, we committed to bring the most advanced wireless service to 300 million people across the United States. We also said we would expand our U-verse fixed-line broadband service to 57 million customer locations, while delivering even faster speeds. And we laid out plans to extend fiber connections to an additional 1 million business customer locations. I’m pleased to report that we begin 2014 with these efforts ahead of schedule. And, as our network has expanded, we’ve also accelerated the growth of the services that ride on it — including launching new services in connected cars, connected homes and advanced mobile business solutions. Now, we’re expanding on Project VIP — pushing the envelope to bring high-speed broadband connectivity to more and more customers. For example, in Austin we’ve launched a super-fast U-verse service called GigaPower. Initial speeds go up to 300 Mbps, and this year we plan to increase that to 1 Gbps — fast enough to download 25 songs in just one second. We’re looking for opportunities to bring these types of capabilities to more communities in the future. Video already is a large and fast-growing portion of our network traffic — for everything from entertainment to user-generated content, conferencing and business applications. So, we’re moving quickly to architect and optimize our network for video. At the same time, we’re leading the industry by taking the first steps to virtualize more and more of our network functions — putting software rather than hardware at the heart of our network infrastructure. Doing this will cut development time and help us get new products to market faster. And most important, we’ve committed to upgrading all of our customers to new technology by 2020 — to deliver better service, higher speeds and more features, and do it all faster and more efficiently. We expect to start trials this year. Second, an effortless customer experience is fundamental. AT&T has a long history of delivering personal service. Now, we’re building on that heritage to create new customer service platforms for a high-speed digital age. We’re revolutionizing our retail experience by creating stores that are more customer-focused and interactive. And we’re taking the online and mobile customer experience to the next level — everything from purchasing to making payments to connecting with an AT&T representative — so that customers can get whatever they need more quickly. The key to success in all of these areas is talent and organizational agility. The dynamic changes underway in our industry require new skills, particularly in data analytics and software. Our industry’s pace also means we need to rethink the way we work together, so we can deliver better service, maximize creativity, move faster and adapt to changes more quickly. To get there, we’re taking a fresh look at everything from training and compensation to smart apps and technology tools that drive more collaboration and innovation. We’re also offering our employees the opportunity to earn a master’s degree in computer technology online through our partnership with Georgia Tech and Udacity. We will accelerate these efforts in 2014 and beyond. Another critical foundation for our industry’s continued progress is a growth-oriented public policy framework. Growth only happens when we invest, and in our industry the foundation for that is wireless spectrum. It’s the lifeblood of the mobile world because it gives us the capacity to meet rising customer demand and support new services. Spectrum is especially critical for video. That’s why we continue to encourage regulators to create a free market for spectrum and to ensure that future spectrum auctions remain open to the entire industry, so we can put our airwaves to their highest and best use. The importance of investment — in network coverage and capacity, new services and technologies — has never been clearer than during the mobile Internet revolution. Over the past six years, AT&T has invested more capital into the U.S. economy than any other public company — and more than $140 billion when you combine capital and spectrum-driven acquisitions. To sustain this kind of investment across our industry while driving vigorous competition, it’s important that policymakers let old regulations fall away as the technologies they support become obsolete. When that happens, customers win, our overall economy grows faster and the pace of innovation soars. I’m encouraged that policymakers at every level increasingly share this view. 1 Performance rankings of first in 56 cities and tied for first in 37 cities out of 125 total cities studied based on RootMetrics® RootScore® reports for each city in the second half of 2013 of 4 national mobile networks that rely on scores calculated from random samples. Your experiences may vary. The RootMetrics award is not an endorsement of AT&T. Visit rootmetrics.com for more details. There’s one other component that’s critical for our industry’s sustained growth — that’s our customers’ trust. The simple fact is, if customers do not have confidence that their communications and personal information are kept private and secure, in strict adherence with the law, they will be less likely to use those services. In response to these concerns, we’ve built multiple layers of security into our network, and we are committed to being clear and transparent about how we protect customer information. The debate about government surveillance programs and protecting personal privacy while providing national security is a healthy one. It’s important that policymakers worldwide strike the right balance, so that people can continue to enjoy the benefits of technology and communications with confidence. For our part, to provide transparency, we plan to publish a report on the number of law enforcement requests for customer information. At the end of the day, all companies are compelled to comply with the law. So it’s also important that governments provide clear guidance on what the law requires companies to do when it comes to government surveillance and requests for customer information. The final key to sustained success in our industry is a sound financial foundation, which gives us the ability to continually invest and grow our business for the long term. And at AT&T, we have that foundation. In 2013, we grew revenues to $128.8 billion, increased adjusted earnings per share by 8.2%, generated $34.8 billion in cash from operations and realized $7.0 billion more from timely disposal of non-strategic assets. In addition to investing to expand and upgrade our networks, we also increased our quarterly dividend for the 30th consecutive year, and for the second consecutive year we returned nearly $23 billion directly to shareowners through dividends and share repurchases. We also ended 2013 with our pension plan funded, keeping our commitment to our retirees and employees, and with the best credit metrics among major U.S.-based telecom companies. You have my word that this kind of financial strength, which enables us to invest in our future while returning value to you, our shareowners, will continue to be a top priority. I’ve never seen a more exciting time in our industry. We’ve never had greater potential to improve lives, empower communities and transform businesses. At AT&T, we’re determined to do everything we can to accelerate this future. And as we do that, we will never lose sight of the fact that having great technology and capabilities is just the start. It’s what we do with these capabilities to benefit customers and society that’s important — because in the end, the purpose of communications is to make a human connection and create a world that works for people. We all take great pride in being part of a company that plays such an important role and that is so closely connected to the communities we serve. In addition to delivering great service every day, time and again the men and women of AT&T step up when called upon — in the face of natural disasters, helping young people succeed in school, lending a hand to neighbors in need. These things go to the heart of who we are as a company, and they underscore our enduring belief in the power of communications technology to make our world better. For all they do, I couldn’t be more proud of the entire AT&T team. On their behalf, I thank you for your continued confidence. Wireless or wired, network reliability and ultra-fast speeds are the keys to making the most of our services and solutions. And that’s true whether you’re in Austin, Texas, or the Magic Kingdom® Park. There’s real magic in AT&T’s wireless network. After all, it lets us send pictures and video through the air with a touch of a finger. So it’s fitting that in 2013 AT&T worked a little extra network magic ... at the Walt Disney World® Resort. 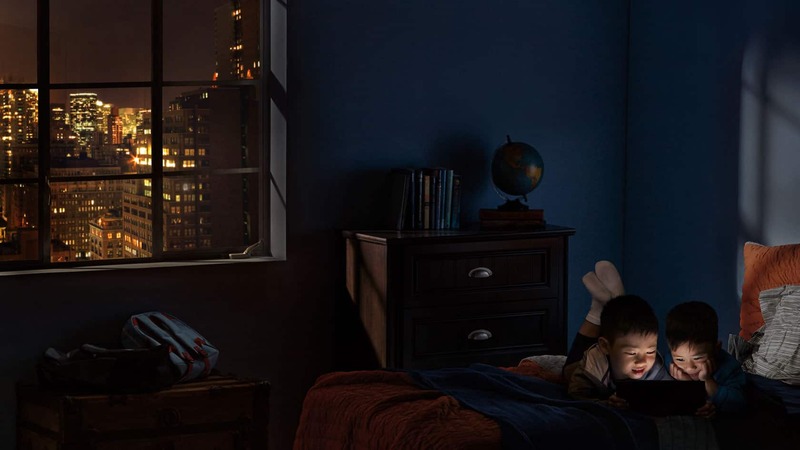 AT&T is now the official wireless sponsor of Walt Disney World® Resort in Orlando, Fla., and Disneyland® Resort in Anaheim, Calif. We also built a custom network for these properties. 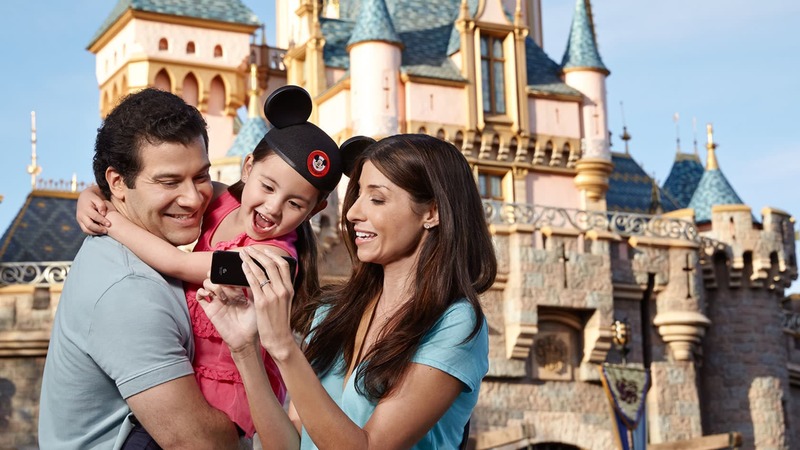 The result is fast, reliable mobile Internet service that lets AT&T make the experience the best it can be for our customers who visit Walt Disney World® Resort and Disneyland® Resort and for the Disney cast members who deliver the magic. A team of AT&T employees worked their own brand of wizardry to build the ultimate wireless network for Disney. High-tech enhancements include more than 250 small cells, 25 Distributed Antenna System (DAS) units and 40 repeaters — small devices that amplify the wireless signal in a localized area. Park guests don’t see these network components, but they all work together to make a special place even more special. Creating the best possible guest experience is a primary goal at Disney parks and resorts, said Bill Kivler, director of telecom services for Walt Disney World® Resort. Automated homes. Connected cars. Solutions that help make communities safer. Mobility is redefining how our world works — and making it work better for all of us. When someone fires a gun in the United States, the police are called only 20 percent of the time. The other 80 percent of the time, no one calls them. Using the power of AT&T’s machine-to-machine network, SST’s ShotSpotter solutions detect gunshots in cities across the United States. 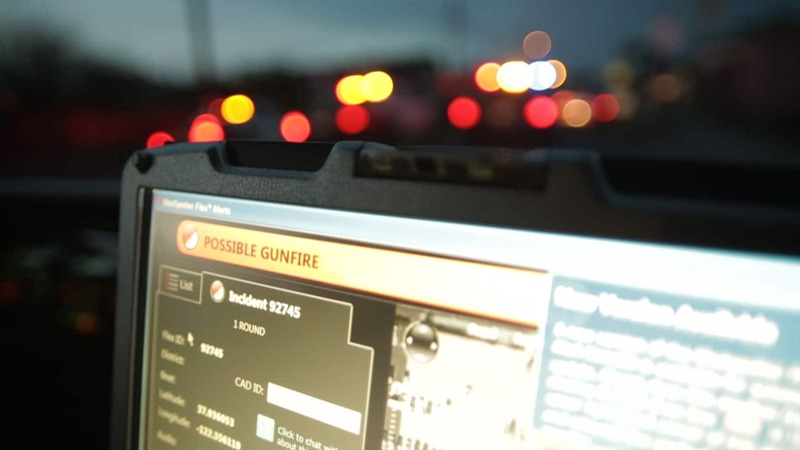 So within minutes, local law enforcement can detect gunfire and pinpoint its location — helping them solve crimes and save lives. Don’t look now, but data communications are breaking free from hardware. Soon data, computing and storage capacity will all live in the cloud. We’re transforming our business in almost every way, and providing extraordinary service to our customers is at the very heart of that transformation. 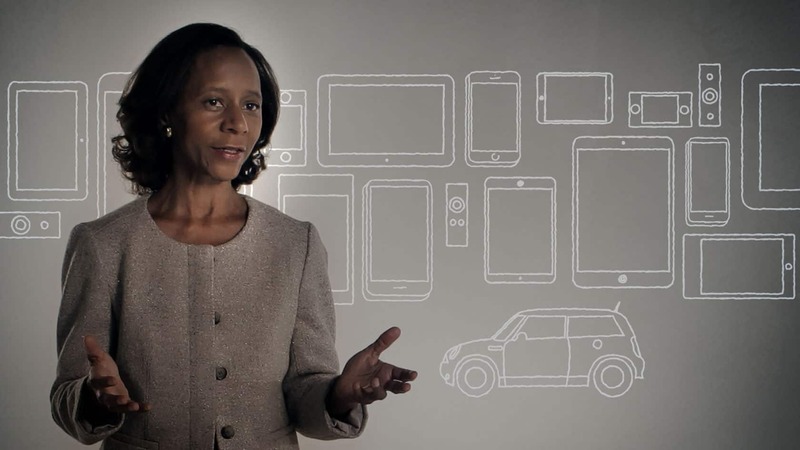 Marian Croak, senior vice president of User-Defined Network Cloud and advanced services development, discusses our initiative to revolutionize how we build and operate our network. The goal is to create a user-defined network cloud that uses standardized hardware and specialized software to make it easier to offer customers new features and functionality. Meanwhile, we’re also reinventing how we support those offerings and enhance customer experiences. Thaddeus Arroyo, AT&T’s chief information officer, explains how we are harnessing the power of mobile, social, data and cloud technologies to enable AT&T retail store representatives and U-verse field technicians to deliver extraordinary customer service. Today, you depend on your phone or device to work wherever in the world you happen to be. And everyone — from businesses to device manufacturers — is looking for partners who can work with them on global solutions. In Formula One racing, a nanosecond can mean the difference between winning a race and coming in second. And staying connected is more critical than ever in a sport that spans 19 countries on five continents. 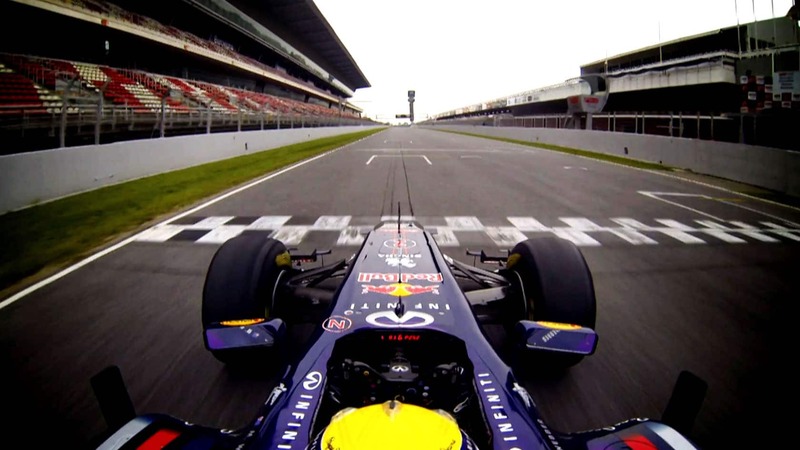 So Infiniti Red Bull Racing relies on AT&T’s global network, combined with local expertise, to ensure seamless communications from the track to their headquarters in the UK. And in 2014, Infiniti Red Bull Racing expects its communications to be two and a half times faster than in previous years. It’s all just part of how AT&T is helping its customers go global, move faster and innovate. From our store design to online support to how you pay your bills, we’re committed to providing an effortless customer experience at every turn. In 2012, we opened our flagship AT&T retail store on Chicago’s famed Michigan Avenue. Customers loved the new format, with its award-winning design that blends cutting-edge technology in an inviting retail environment. So, in 2013, we redesigned 13 additional stores and have more planned for 2014. Our latest store in midtown Manhattan is a great example. Unveiled in November 2013, it enables an interactive and educational shopping experience that mirrors customers’ mobile lifestyles. The space is open and high-tech, but three distinct, yet interconnected, zones help make it feel personal and intimate. 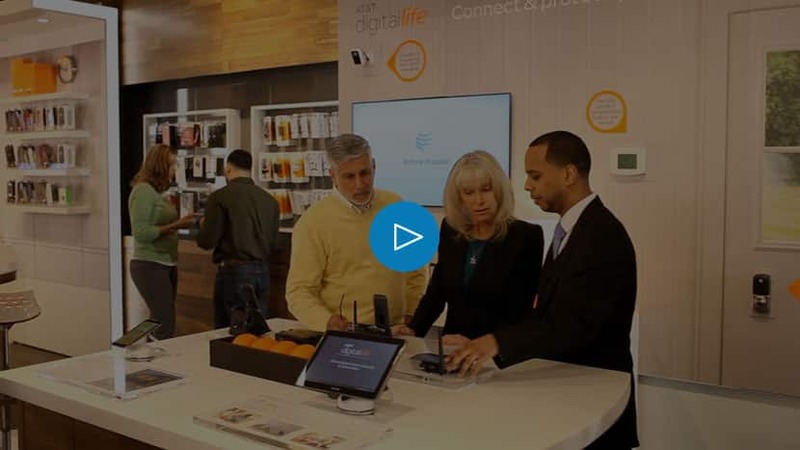 "Experience Pavilions" create immersive experiences that showcase AT&T's products and services — such as our Digital Life home automation and security service or productivity solutions for small businesses. The city’s local flavor comes through in the store’s digital décor and furnishings. This is the heart of the store—a place where customers can shop, interact and play. Café-style "Learning Tables" and “Community Tables” invite customers to pull up a chair with our sales reps and experience the latest apps, accessories and devices. "Explore Walls" feature AT&T’s entire device and accessory line-up. Customers can view devices by operating system, which makes it easier to get a complete, hands-on view of our products. 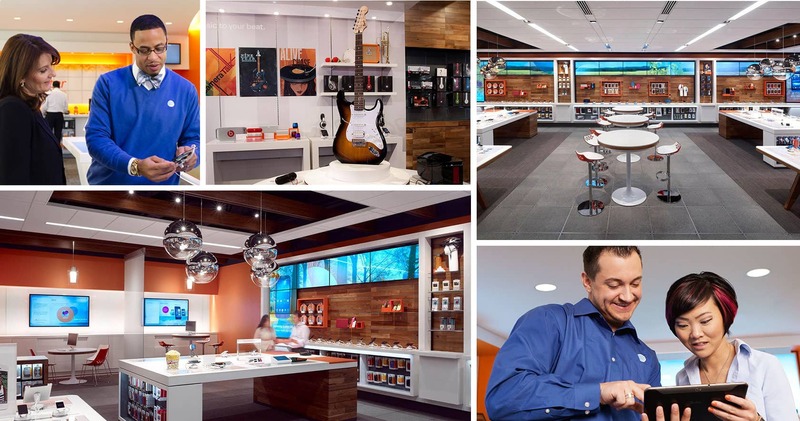 And AT&T’s new stores aren’t just designed to highlight our best-in-class products and services. We’re also making it easier for our employees to help customers. You won’t find a cash register here — instead, a fully mobile point-of-sale system lets customers and tablet-armed store reps connect face-to-face and move around freely. Eventually, we’ll roll out this new design to our entire network of more than 2,000 company-owned stores across the United States. Meanwhile, we’re already working to give our people in each of our retail locations the tools they need to make customers’ experience with AT&T effortless. Retail Appointments – Customers can now schedule their store visits online using the myAT&T app, so they get faster service and spend less time waiting. Click2Store – Buy online, pick up in-store. It’s that simple. We continue to give our frontline reps the tools they need to be efficient and deliver the best customer experience. From our stores to the Web to our customers’ smartphones, we’re turning transactions into interactions. We’re connecting people on the go. In 2014, for the second consecutive time, J.D. Power awarded AT&T the “Highest Ranked Customer Service Performance Among Full-Service Wireless Providers” and “Highest Satisfaction with the Purchase Experience among Full Service Wireless Providers” in their 2014, Volume 1 studies. U-verse TV and Broadband and over 1,300 offer our home security and automation service Digital Life. That means our customers can get a hands-on product demo when they have questions about their service – a rare convenience in our industry. Whether we’re expanding educational opportunities for our employees or showing other companies how to make their operations more sustainable, helping people is how we make our world work for everybody. AT&T Inc. is committed to advancing education, strengthening communities and improving lives. Through its community initiatives, AT&T has a long history of investing in projects that create learning opportunities, promote academic and economic achievement, or address community needs. In 2013, more than $130 million was contributed or directed through corporate, employee, social-investment and AT&T Foundation giving programs. AT&T and the AT&T Foundation have given $90 million to support STEM (science, technology, engineering and mathematics) education initiatives since 1987. 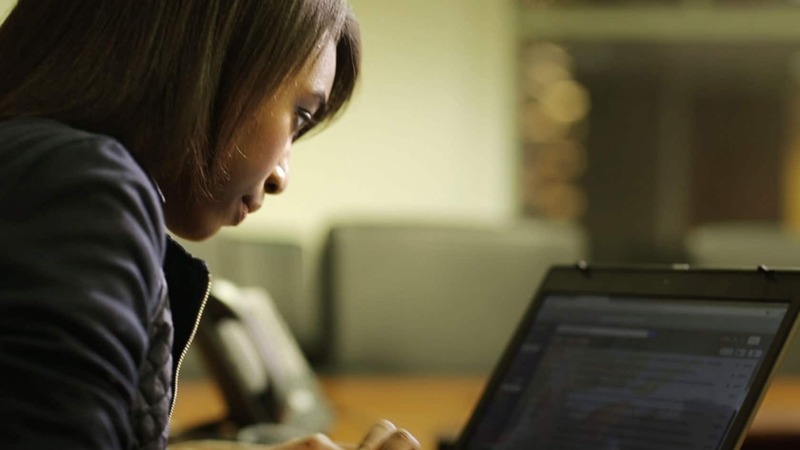 We’re particularly focused on helping women and others who are underrepresented in STEM fields. A key initiative is Girls Who Code, which is delivering experiential computer-science learning programs for teenage girls nationwide.